Following on from the success of the first two conferences held in 2012 and 2014, the Centre for Business in Society will be hosting an international, inter-disciplinary conference for academics and practitioners. The conference will focus on the use of disability sport as a tool for peace, development and social inclusion. 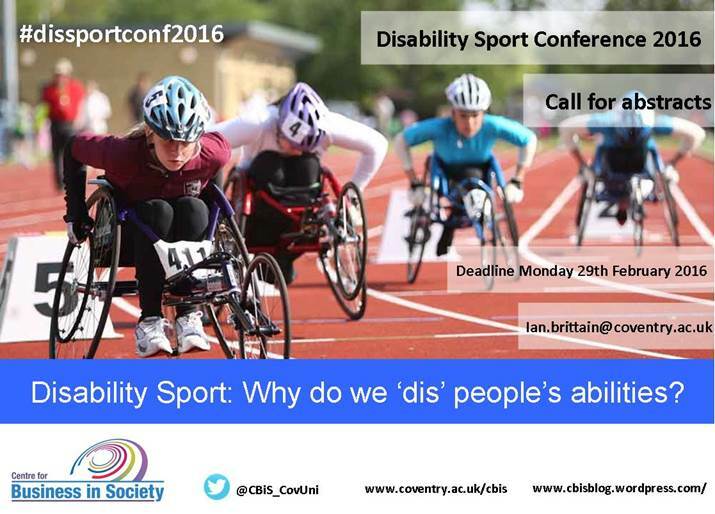 Technology and disability sport: where does man become machine? There will also be opportunities for posters and suggestions for workshops.